The Swarovski Foundation supports women’s empowerment, the development of young people and of communities with initiatives in education. Supporting programs which enable women to overcome social barriers, and engaging with organizations that employ new approaches to teaching, helps improve the quality of life for communities around the world. WE Charity empowers communities to lift themselves out of poverty using a holistic, sustainable development model called WE Villages. 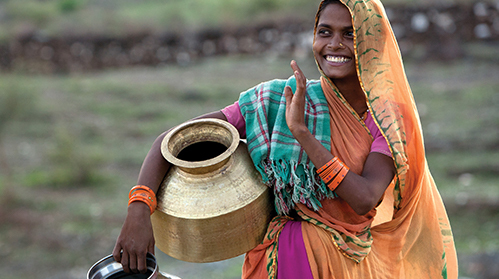 The Swarovski Foundation's partnership with WE Charity supports women’s empowerment and clean water projects in three Rajasthani communities in India, which work to break the cycle of poverty and improve wellbeing. 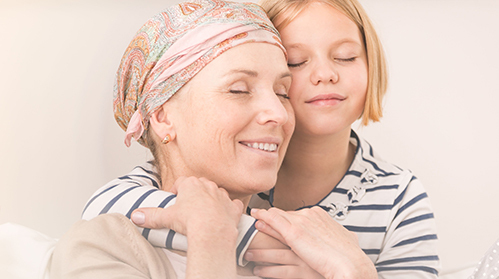 Cancer Aid Tyrol promotes cancer research projects, and provides counselling services and information on detection and prevention methods for the Tyrolean population. The Swarovski Foundation's supports enables the organization to provide free psycho-oncological counselling services and psychotherapeutic sessions. Orchid Project aims to end the practice of Female Genital Cutting (FGC) primarily through partnering with grassroots community-based organizations to raise awareness and advocacy for increased resources. The Swarovski Foundation supports its work with Maasai and Samburu communities in Kenya to end FGC through non-directive, human-rights led approaches such as traditional song, storytelling and educational workshops. The Cherie Blair Foundation for Women enables female entrepreneurs in low and middle income countries to access the skills, technology, networks and financial services they need to turn thriving enterprises into sustainable businesses. The Swarovski Foundation supports its work with small-scale women producers in remote villages of Maharashtra state in India, empowering these women to become more competitive entrepreneurs. mothers2mothers aims to end paediatric AIDS and create healthy families and communities by training and employing HIV-positive mothers as community healthcare workers. The Swarovski Foundation focuses its support on the non-profit's efforts in Kenya, helping to provide essential health education and support women with how to protect their babies from HIV infection and keep their families healthy. Imperial College London is a university with a mission to benefit society through excellence in science, engineering, medicine and business. The Swarovski Foundation partners with Imperial on its flagship female entrepreneurship program, WE Innovate. The first of its kind in the UK, the program seeks to empower female entrepreneurs and business leaders, while addressing gender inequality in both business and STEM. Nest is building a new handworker economy to increase global workforce inclusivity, improve women's wellbeing beyond factories, and preserve cultural traditions of craft around the world. The Swarovski Foundation supports Nest's Artisan Accelerator program, which helps to empower promising artisan businesses in fashion and home design to become players in the international marketplace. NSPCC is the leading children's charity fighting to end child abuse in the UK. Its ‘Protect and Respect’ therapeutic service, which is supported by the Swarovski Foundation, protects children and young people who are vulnerable to sexual exploitation, including FGM, and helps those who have experienced it to rebuild their lives. 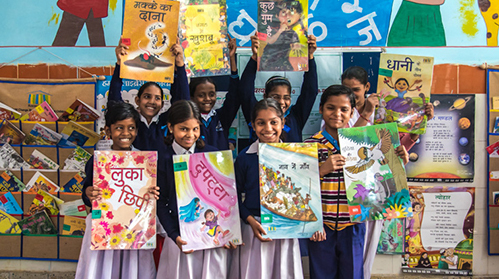 Room to Read is a leading non-profit focused on girls’ education and children’s literacy in Asia and Africa. The Swarovski Foundation supports its Girls’ Education Program in India, which is a key initiative in addressing gender equality as it ensures that girls complete secondary school and gain the skills they need to negotiate key life decisions. As a Teach for All partner, Teach for Thailand works to expand educational opportunities for children in Thailand from disadvantaged backgrounds. The Swarovski Foundation supports its aim to nurture leaders in the classroom who can help all children to fulfill their potential. Teach for Austria is part of the Teach for All international network, which includes 48 sister organizations that work to promote access to education worldwide. The Swarovski Foundation is a Gold Partner of Teach for Austria, helping to further its vision of a world in which all children can fulfill their potential, regardless of their circumstances. Alzheimer’s Society is the UK's leading dementia support and research charity. The Swarovski Foundation is supporting the Angela Project, which aims to improve the clinical diagnosis of young onset dementia and enhance support services post-diagnosis. This is a crucial research project into an underfunded area that could have a huge impact on the quality of life of those who develop dementia before the age of 65. Samburu Girls Foundation seeks to make the world a better and safer place for pastoralist girls in Kenya through the provision of life opportunities and psychosocial care, free from the harmful and retrogressive cultural practices of Female Genital Mutilation, Child Marriage and Beading. The Swarovski Foundation is helping to expand its reach and empower more pastoralist girls through quality and timely education, both at a private school and a community Rescue Centre. The Center for Reproductive Rights uses the power of law to advance reproductive rights as fundamental human rights around the world. The Swarovski Foundation is supporting a project to empower women affected by the Boko Haram conflict in northern Nigeria by improving their access to sexual and reproductive health rights (SRHR) and redress mechanisms for SRHR violations. As part of Teach for All´s network, Teach for China´s mission is to place exceptional leaders in classrooms which will lead to a day where every child in the country, regardless of their background, has a chance to succeed in life. The Swarovski Foundation works with the organisation to empower young people to be agents of change through quality teaching and education. Women for Women International aims to give women in conflict-affected countries access to knowledge and economic resources so they can lead the change towards peaceful societies. 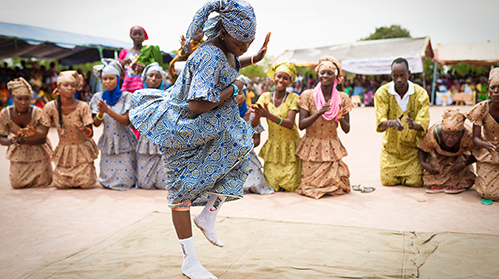 The Swarovski Foundation supports the charity's holistic training program in Nigeria, which helps women to transform their lives by educating them about business skills, their rights and their health and wellbeing, as well as connecting them to support networks. 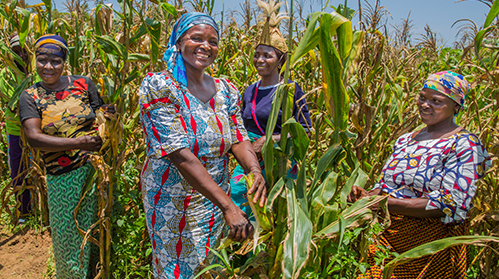 Lemlem Foundation creates a pathway out of poverty for women in Africa by delivering job readiness and health programs in artisan communities. With the Swarovski Foundation's support, Lemlem Foundation is piloting the Artisan Women’s Training Initiative in Addis Ababa, Ethiopia. This initiative seeks to combat poverty and stem migration by empowering 20 women artisans through craftmanship training. Street Business School provides highly specialized entrepreneurial training for women living in deep poverty. Through a signature combination of business skills training and confidence building, Street Business School enables women to create and sustain their own micro-businesses, allowing them to triple their incomes. The Swarovski Foundation supports the entrepreneurial education of women who, as a result, lift their families from poverty and transform their lives forever.